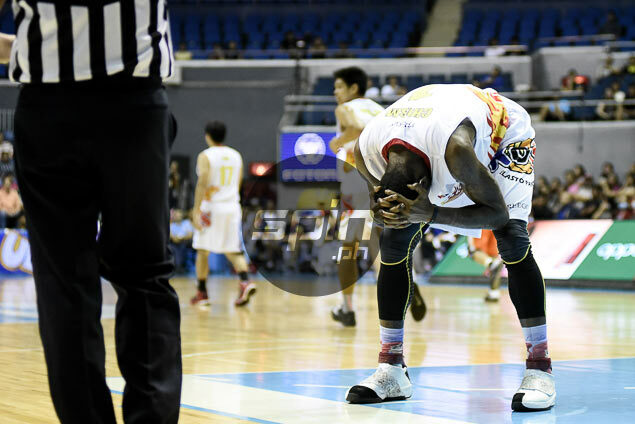 RAIN or Shine is not about to take chances with the injury to Wayne Chism as it sets to bring in a new import in Antoine Domonick Wright in the PBA Commissioner’s Cup. The 32-year-old Wright, who had stint in the NBA from 2005-2010, is set to arrive in the country early Sunday morning in time for the Elasto Painters’ match against Barangay Ginebra. Chism, the former Best Import who’s back for another tour of duty for Rain or Shine, suffered a pulled hamstring in the team’s 98-95 loss to Meralco last Wednesday. “May partial tear ang hamstring niya. Malabo na siya for Sunday kaya naghahanap pa kami ng replacement niya,” said coach Yeng Guiao. The Elasto Painters found one in Wright, a native of West Covina, California, who played for NBA teams New Jersey, Dallas, Toronto, and Sacramento. He also suited up with the Reno Bighorns in the NBA D-League and saw action overseas in China, Spain, and Venezuela. He last played with Hapoel Gilboa Galil in Israel. Guiao said Chism remains an option for the team should his injury heal in a week’s time. “Otherwise, we have no choice,” the Rain or Shine coach made it clear.